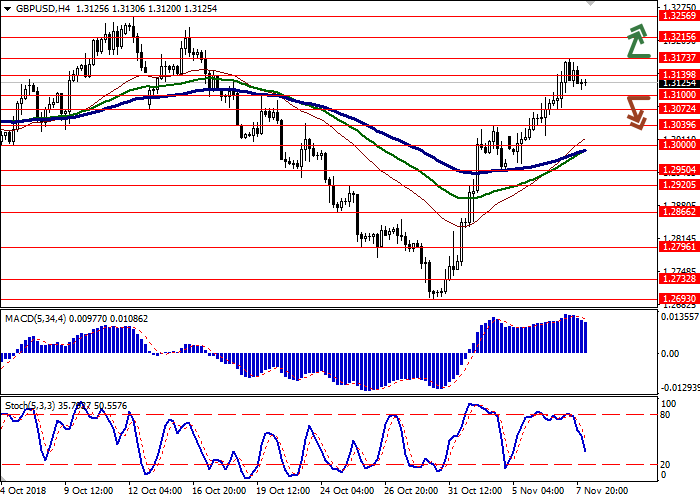 GBP grew significantly against USD on Wednesday updating local highs of October 17. GBP is supported by growing tensions around the US parliamentary elections. The division of Congress between major US parties makes investors nervous because it can lead to political confrontation and difficulties in taking economic decisions. Meanwhile, the UK government continues to discuss the terms of the Brexit deal. Now the ministers are conducting legal consultations to find out exactly how the new plan will work. The data on Halifax House Prices supported GBP moderately. The indicator grew by 0.7% MoM in October after the decline by 1.3% MoM in September. Analysts had expected growth rate at 0.3% MoM. 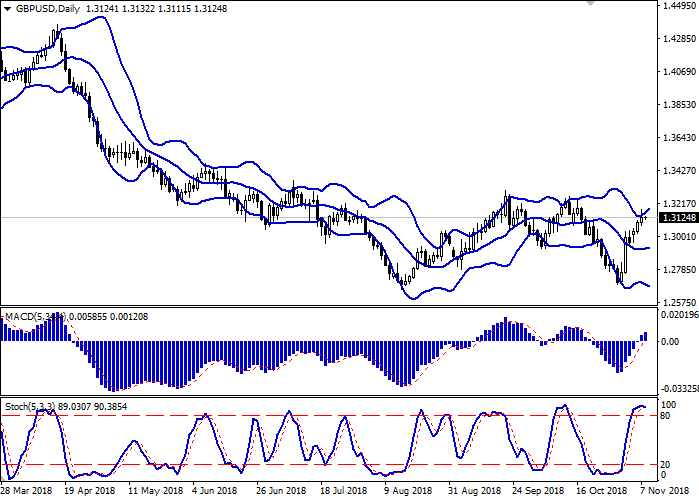 Bollinger Bands in D1 chart demonstrate flat dynamics. The price range expands, freeing a path to new local highs for the "bulls". MACD indicator is growing, keeping a stable buy signal (located above the signal line). Stochastic having reached its maximum levels is reversing into the horizontal plane, indicating a strong overbought pound in the ultra-short term. One should wait for the formation of a full-fledged sell signal. Some of the existing long positions should be kept open for some time. Resistance levels: 1.3139, 1.3173, 1.3215, 1.3256. Support levels: 1.3100, 1.3072, 1.3039, 1.3000. To open long positions, one can rely on the breakout of 1.3173. Take profit — 1.3256. Stop loss — 1.3130. 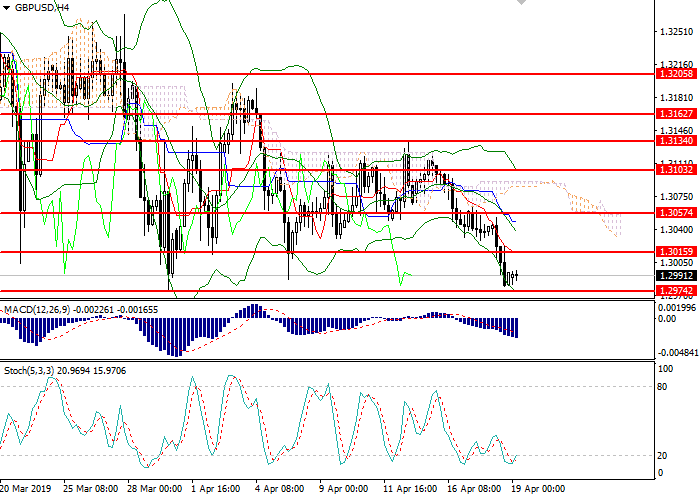 The breakdown of 1.3100 may serve as a signal to start correctional sales with the target at 1.3000. Stop loss — 1.3140.